Perfect for a contractor, craftsman, hobbyist, or large family, this 1990 square foot skillfully renovated home sits on 2.88 private acres and boasts a detached workshop with work benches and windows and a 3-bay carport, both with electricity and new roofs. Built in 1947, the classic brick 2-story Cape Cod home is eligible for USDA 100% financing at low interest rates and features 4 large bedrooms, 2 tiled bathrooms, 8 closets including a walk-in, hardwood floors, arched doorways, wood-burning fireplace, large formal living and dining rooms, a paneled study, laundry room, and a completely renovated kitchen with granite countertops, Samsung stainless steel appliances including a wine refrigerator, glass backsplash, cork floor, and Scandinavian-inspired cabinets. 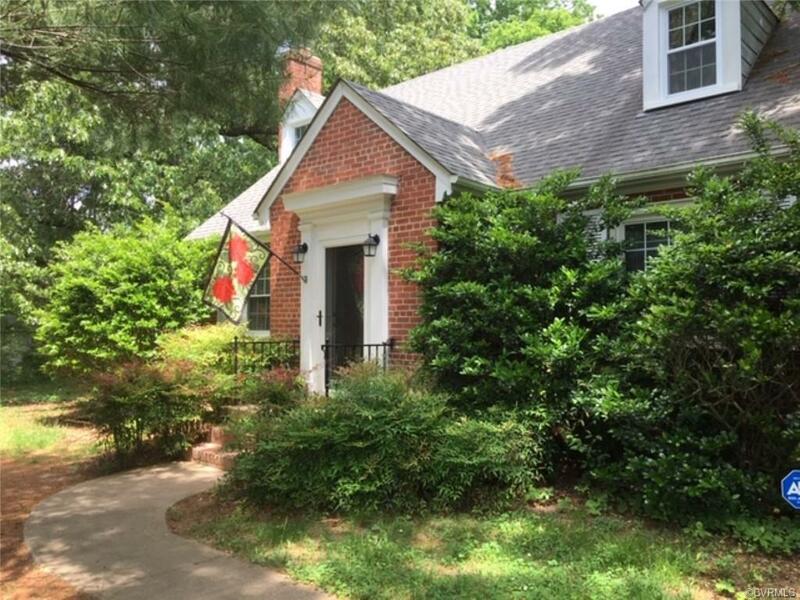 With its new HVAC system, new windows, and circular driveway, it’s a treasure hidden beneath tall mature trees and close to all North Chesterfield amenities.